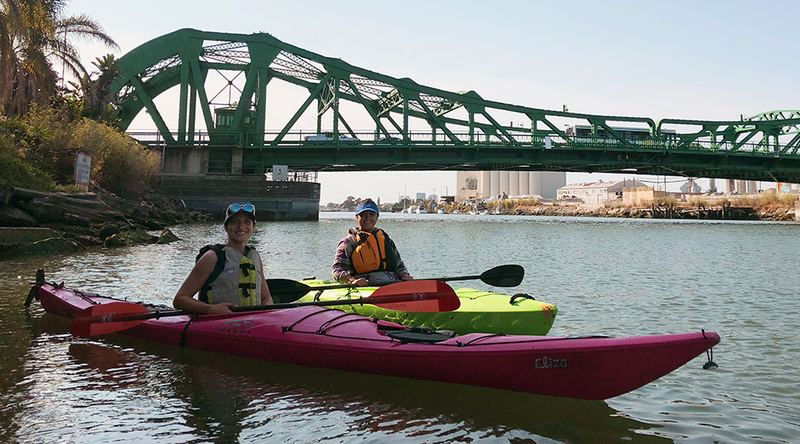 After receiving reports about possible pollution discharges from a shoreline site in the East Bay, Baykeeper's Field Investigator Sienna Courter, along with Managing Attorney Erica Maharg and Staff Attorney Nicole Sasaki (pictured below), conducted an on-the-water investigation by kayak. Baykeeper staff usually investigate Bay pollution from the Baykeeper patrol boat. But kayak patrols are sometimes better for traveling through shallow areas near the shore, which was essential for this particular investigation.